Dicembre Aperto ... condominio di lusso sulla spiaggia !! Di recente decorate. The Harbor House ... accanto piscina riscaldata con vista sull'oceano troppo !!. Questo condominio, l'Harbour House è vista mare a Dana Point, Orange County si trova proprio di fronte alla spiaggia pubblica di accesso ai passi per Stand Beach. Si tratta di un'unità a bordo piscina, con due camere da letto con alloggi per quattro o cinque. Ha un re, la regina di una camera familiare aggiuntiva con porte francesi. L'unità è stata decorata professionalmente. Gli arredi combinano splendidi pini, teak, marmo e vetro con una combinazione di colori che si concentra su sabbie naturali e sfumature di mare. Si passa dalla veranda e c'è una bellissima vista sull'oceano. L'oceano è anche percorribile (dai un'occhiata alla vista della camera della famiglia) dalla camera familiare. Questa unità è di circa 1250 metri quadrati, ha un ingresso esterno e si trova al piano terra. Seduti in cima al famoso Dana Point Headlands, potrai goderti l'odore dell'aria di mare, senza nulla tra te e l'oceano eccetto l'eucalipto e le palme. L'accesso alla spiaggia pubblica alla spiaggia privata e isolata STRANDS BEACH è tramite scale nel County Park direttamente dall'altra parte della strada. Dalla camera familiare e portico anteriore vista sull'oceano grande per il tuo divertimento. La spiaggia è la stessa spiaggia degli ospiti del Ritz Carlton and St. Gli ospiti Regis usano solo per la strada. La camera da letto principale offre un bagno privato con doppio lavabo, un lussuoso letto king-size e un patio privato con vista sulla piscina. La camera degli ospiti ha un letto queen-size, e ha accesso alla camera da letto principale del bagno ha una bella TV. La moderna, luminosa e luminosa cucina completamente attrezzata è adiacente ad un'elegante sala da pranzo con sei posti a sedere e un patio privato. Una tana separata con porte francesi per la privacy, ha un grande schermo TV e un gigantesco sezionale imbottito per la massima esperienza di relax. L'intero condominio ha persiane in legno bianco. http: // www. 4primedc. com / ritz-pointe-condo-video / Video di questo condominio aperto 3 o più ..
L'oceano è anche praticabile (sbirciare un boo) dalla stanza di famiglia. Questa unità è di circa 1250 metri quadrati, ha un ingresso esterno e si trova al piano terra. Questo condominio ha due bagni completi. Ciascuno fornisce docce, e un bagno ha doccia e vasca. Cox Fast Internet Connection WIFI fornito, Lap Top Computer fornito per la ricerca o l'uso della posta elettronica, situato accanto alla piscina e alla vasca idromassaggio. Spiacente, non fumatori o animali domestici. Noi cerchiamo di fornire un condominio molto pulito e confortevole per il vostro divertimento. Well maintained property right beside pool area. Mrs. Everett was able to work calendar to allow viewing of 4th of July fireworks shows which was huge hit with kids. Property delivered on all aspects for family vacation. Superb! Beautifully furnished and equipped with everything you need for your coastal vacation! We rent vacation homes regularly in the Dana Point area and I can tell you: this was a dream! One thing that stands out is the professional grade furnishings (not 'left over' things from Auntie Millie's place!). Everything was so beautifully prepared for our stay - lovely kitchen appliances, upscale and really comfortable 'adult-size' sofas and arm chairs. This is an important point because the large majority of owners DO NOT TAKE THIS INTO CONSIDERATION when purchasing/furnishing! The beds are new and so dreamy to sleep in. And if this isn't enough - the big screen theater-quality electronics are a wonderful surprise. Easy WIFI access from this location - a must when you work from home - and just steps to the most famous beaches on the California Riviera. We are coming back as soon as we can! Unfortunately, this was the wrong property for us. We (seniors) live in the desert and desired a quiet two months in a much cooler climate near the beach. The climate cooperated. This property might be ideal for young families but not for us. Located next to the community pool, there were screaming kids from early morning until well after 10PM. The neighbors upstairs/across the walkway had a 2 year old who never stopped crying and hollering. The unit above us was mostly vacant but when it was inhabited, every footstep could be heard; there must not be any noise insulation between the floors and certainly no carpet up there. Worst of all, there was a continuous construction project to replace the stairwell railings (and rotted steel supports anchored in concrete) of every unit in the complex which lasted a good part of the summer. The work commenced daily at 8:00AM; hammers, chisels, saws, grinders, etc. Gardeners arrived at 7:20 several times a week and didn't finish until almost noon; edgers, mowers, blowers in waves. Once a month they would stand in the planters to clip the bushes back (and look through our windows at us). The owner attempted to make our stay better by replacing a mattress and other (foam) bedding that had been soaked with pee and sagged in the middle as well as coffee makers that were filthy and still had dirty water in them when we arrived. The toaster did not work but there was a toaster oven which we used instead. The padding on the dining room chairs had to be covered with towels as they were quite soiled. There were some ants in the house and there was rat droppings on the patio (with barbeque). A good cleaning and better pest control will alleviate most of these issues. Every bit of feedback we get is appreciated. Our customer above was kind to take time to advise others who read his review that, yes, sounds of children, property repairs, the landscaping work that keeps our community pristine, and the comings and goings of neighbors are the things you hear through the open windows. Open windows that bring ocean breezes, moist fresh air, and the perfect coastal temperatures are well worth the sacrifice. Southern California is a unique place, and we live in near proximity to 23.77 million people. There are sounds and nuisances that must be overlooked on occasion. The 2nd bedroom mattress our guests mentioned was replaced quickly during his stay. The complaint regarding the coffee pot is regretful. Our long-term loyal cleaning team overlooked that item on this occasion. We extended our apologies and replaced the coffee pot in its entirety immediately. We subscribe to an environmentally friendly pest service, but yes, ants exist here; but generally are under complete control with the except of unusual periods of rain. In summary, our tenants concerns are ALWAYS addressed as quickly as humanly possible. We want your visit to be WONDERFUL and we take many steps to assure that in the case. We tend to agree, that in this case, this couple is best advised to choose another location. Bill and I returned to this condo, Harbour House, season after season. Everything is clean and well decorated, the kitchen had every amenity we could want, and there’s nothing like the cozy den off the living room for watching TV. Betha is sweet and responsive to any question; she even brought us a treat when my fiancé broke his collarbone. Once, when it appeared that a fuse had blown, Betha's husband knew exactly where the fuse box was hidden. The problem turned out to be the microwave oven that had died. Betha brought over a new microwave that very evening. Combined with a beautiful view of the Pacific steps away, Harbour House is a winner of a place. We highly recommend it. Thank to you for your kind words Ann . I can say having two guests like you and Bill make my job so much fun and enjoyable. It was such a delightful experience getting to have you come all the way from PA for these last two years and stay in our condo. You and Bill will always be welcome back anytime. I have rented at least a dozen vacation rentals through VRBO over the years. This experience without a doubt was the most pleasant. Betha makes you feel so welcome, That you instantly relax. Harbor House is so tastefully decorated and well appointed you feel like you are in a 5 star hotel. Pelican Hill Resort is the highest rated resort in North America. We often stay in their villas, it's an amazing experience and obviously not cheap. Harbor House with Betha as a host is like that experience but at a fraction of the price. If you ever get the opportunity to stay here you are very fortunate. Mark: Wow, what a nice review you gave me. Thank you. It was such a pleasure having you as my guest staying in the Harbor House. I was pleased that you chose my condo for your vacation. That is what I love about this job, I just meet the most wonderful people from all over the world just like you. . It is so much fun.. The best part is they all love it here in Dana Point and want to return. Thank you for being the perfect guest. I was happy to know that your visit was comfortable and enjoyable too.. Thanks again Mark. I hope you can return again... The very best to you. . Betha ..
We truly enjoyed our stay at the Harbor House! The condo was very clean upon arrival and Betha was a terrific owner and very accommodating. She proactively replaced large appliances and did anything we asked of her! The weather was beautiful, except for a little hot a couple weeks, but the location was great and we enjoyed being so close to the ocean! 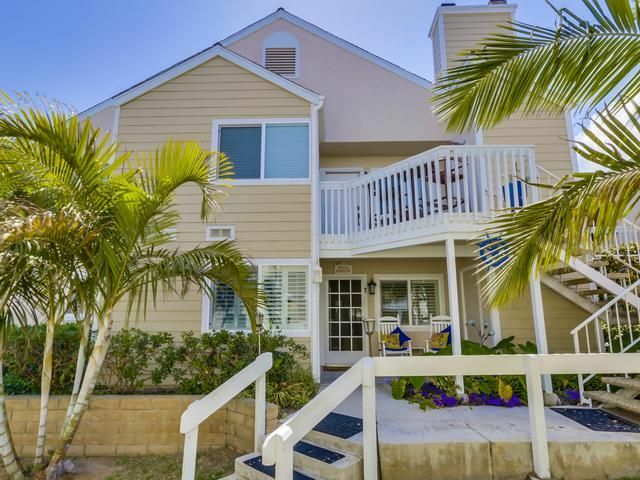 We highly recommend this property to anyone wishing a close-to-the-beach setting! Please pay VRBO. They handle all money first payment to them $750 and final payment 30 days before arrival.